The Opera House Manchester opened in 1912 and is the sister venue of the Palace Theatre. West End shows, musicals and pantomimes make up the bulk of the entertainment here. The venue can seat 1915 theatregoers. A detailed seating plan can be downloaded from the official website. Facilities include several public bars, confectionary kiosks, and a cloakroom. A selection of upcoming shows and events at Opera House, Manchester are listed below. Tickets can be purchased here. 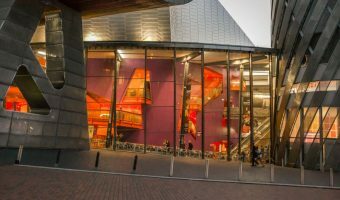 More events may be listed on the official Opera House Manchester website (see the information section at the end of this page). Telephone bookings can be made by calling 0844 871 3018. Tickets can also be purchased online at the official Opera House Manchester website (see information box at the end of this page) or in person at the box office. The box office is located in the foyer but has limited opening hours. It only opens performance days two hours before the show begins. However tickets can be also purchased from the Palace Theatre box office on Oxford Street. The Opera House is situated on Quay Street (postcode M3 3HP) in the Spinningfields area of Manchester. 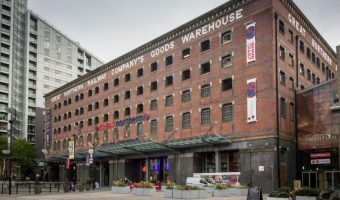 Car parking options nearby include the NCP Spinningfields car park (multi-storey, 680 spaces, New Quay Street, postcode M3 3BE) and the NCP Great Northern Warehouse car park (multi-storey, 1400 spaces, Watson Street, postcode M3 4EE). 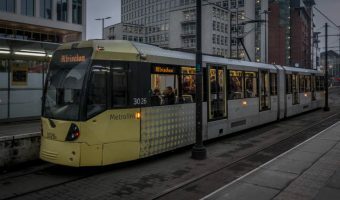 The nearest Metrolink stations are Deansgate-Castlefield and St Peter’s Square. The closest train station is Deansgate. It is approximately one third of a mile from the Opera House. Salford Central is also nearby. Manchester Piccadilly Train Station and Manchester Victoria Train Station are around one mile from the theatre. Free Metroshuttle buses run from both stations and pass by the Opera House. Hotels near the Opera House Manchester include the Hilton Manchester Deansgate, Radisson Edwardian, and Great John Street. 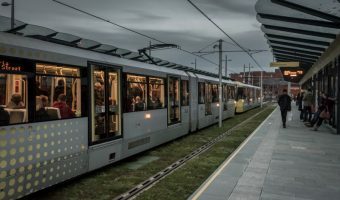 Nearby attractions and places of interest include the Great Northern, All Star Lanes, the John Rylands Library, House of Fraser, the People’s History Museum, and MOSI. The theatre is owned and managed by the Ambassador Theatre Group (ATG). 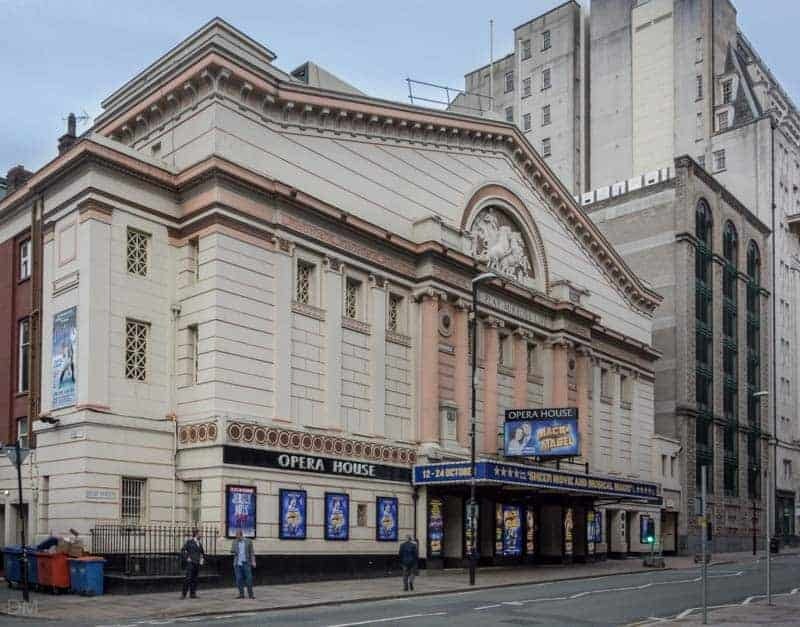 Their other venues in North West England are the Palace Theatre, Liverpool Empire Theatre, and the Southport Theatre and Convention Centre. Comedy Store Manchester (0.3 miles) - Comedy club at Deansgate Locks. Bridgewater Hall (0.3 miles) - Modern, international concert venue. 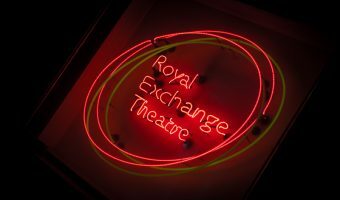 Royal Exchange Theatre (0.4 miles) - Home of Manchester’s leading theatre company. Fazenda (0.1 miles) - Brazilian steakhouse at Spinningfields. Skewers of meat are brought to your table. Close to the John Rylands Library, Manchester Opera House, Great Northern, and the People’s History Museum. Deansgate Train Station (0.3 miles) - Train station near Manchester Central. Salford Central Train Station (0.3 miles) - Train station in Salford. Deansgate-Castlefield Metrolink Station (0.3 miles) - Interchange station in Manchester city centre. St Peter’s Square Metrolink Station (0.3 miles) - Metrolink station on St Peter's Square in Manchester city centre. Map showing location of Opera House Manchester. Don’t park in Great Northern ! Opera House web site states £7.00 for 6 hours went to Bat Out of Hell last night, wouldn’t validate my ticket before show said “couldn’t accept Great Northern car parking” got stung £18.00 for car parking! I went to see Guys and Dolls at the Opera House a couple of weeks ago and it was amazing. I think that Ben Richards was the best. I went to see guys and dolls tonight and it was amazing. I’m not sure if it was Louise who played Sarah she didnt look much like her picture in the programme but whoever it was was great – thought she was the best one! I went to Manchester Opera House to see Guys and Dolls last night. Louise Dearman is outstanding as Sarah Brown. 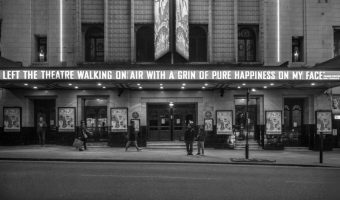 One of the most popular theatres outside London. Entertainment and retail complex with cinema, bowling centre, casino, restaurants, and shops. Metrolink station on St Peter’s Square in Manchester city centre. Home of Manchester’s leading theatre company.